The world has gone small due to the technology we live with. Now we perform mammoth operations with diminutive devices called netbooks. Netbook computers are the next generation computers for sure. They have slowly but surely crept into almost all fields. They are chiefly designed to provide outdoor usage and serviceability. With their high end designs they have become a rage among the geeks of every generation. The netbooks have outdated the laptops in terms of utility in the professional fields. There is no specific line of difference between the personal and the professional usage of a laptop. But the netbooks are used for professional use more often than not. It does not mean that they cannot be used for personal entertainment. The size that they come in has enabled us to carry our cyber world with us even in the toilets!! The “minimum input and maximum output” axiom sits pretty nicely on the netbook computers. They are engineered with long battery lives to enable their usage even during power outrages. It also enables their usage in the outdoors or a place where you do not have a wall outlet in the vicinity. The netbooks are lighter than laptops but not necessarily faster. A processor is what makes a computer faster. It consists of a series of chips attached to each other enhancing performance. If the processor’s size is compromised then so is the speed of the computer. But the Intel Atom processor has made it possible to shrink fit the processer in the limited space available without affecting the performance much. The computer giants have now developed new and improved processors like Intel Atom Dual Core processor and AMD processor which have increased the efficiency of the netbooks. They have a screen size of 10 inches at maximum which makes them occupy less space. A netbook computer comprises of a keyboard while it lacks the CD/DVD-ROM to decrease the size and weight. They come with good data storage capacity and with office applications. Apart from the office utilities they come with a variety of apps used for entertainment purposes. You can play music, edit photographs, arrange compositions or even watch a movie. Camera netbooks have even replaced the digital cameras, if you are not a professional cameraman. The camera netbooks enable video chats too. The utilities of a netbook are unlimited. It is a perfect device that fits with any generation of people. The prices of the netbooks have gone downhill since it hit the markets in the early 2007. 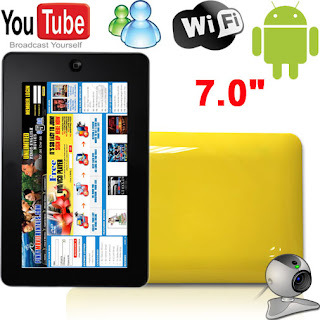 Now a lot of cheap netbooks are available in the market. With cut throat competition among the giants of the technology field the prices and offers are always on for the consumer’s benefit. There are various brands available if you want to buy cheap netbooks such as Dell, Samsung, Acer, Asus, MSI, LG, Sony, Toshiba etc. The range of computers they provide with the enticing price tags makes it impossible to resist buying. Apart from the offers from dealers, the internet has been hosting a galaxy of sites which dedicate themselves to sell the netbooks at the cheapest prices. They offer free shipping and attractive offers. Even if you are not a tech-geek, be sure you do not miss the services of the netbooks.